How do we see memory, I am sure we all have to recollect, there is a kind of effort involved. What if remembering does not need an effort. What if you cannot forget. What if you can remember exactly what happened a few years back, on a particular day, who you were with and what you did. And like that if all the days in your life is in front of you. It can be scary. That’s how it is for Jill Price. Some of you might have heard of her as referred AJ in Journals. I remember some books refer AJ and her condition as they explain about memory. But I never knew much about the life of AJ until I read her biography. 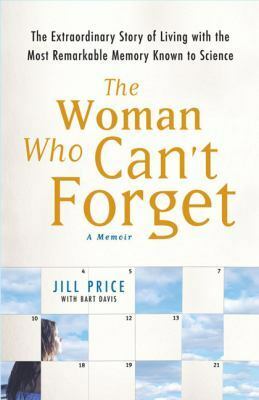 ‘The Woman who can’t forget’ is Jill Price’s (AJ) biography written by her. Jill has a condition called hyperthymesia that let’s her remember every minutest detail of her life, the sad, happy, fearful, funny… every aspect. The book is about how she navigates through life with it. About her relationship with her parents, friends, her work, her, love and marriage. How she handled grief when she lost her loving husband and so on. More than memory, it is about the person. At the end she says that she has so much love for science and she is always there to help scientists know more about her condition if that could throw light into how we understand memory and may be understand memory loss. Tagged with: AJ Jill Price Memory The Woman who Can't Forget"